1, 2, 3... Splash! Watch your child swim through an exciting underwater world as she is magically transformed into a talented mermaid! A truly special gift for any child who will love being the heroine of a true adventure! 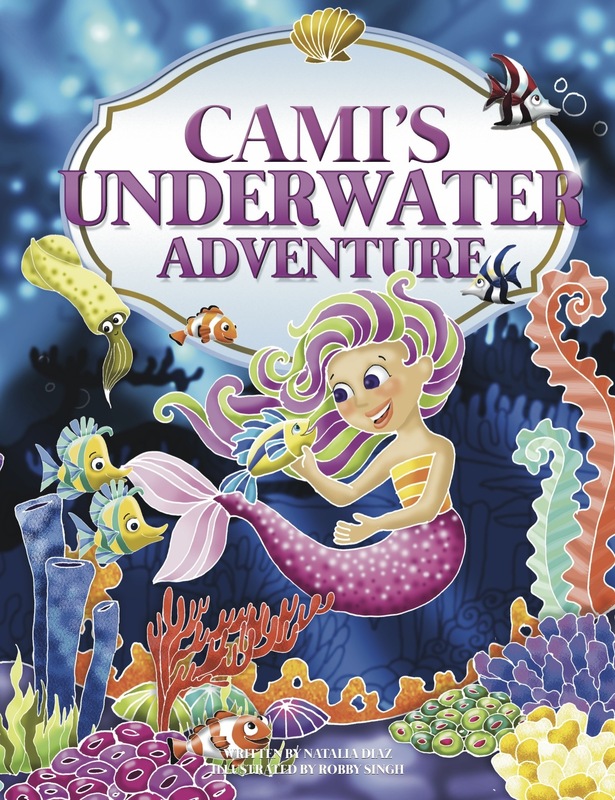 My Underwater Adventure is a unique personalized book that will transport your child to an amazing world filled with vibrant colors and majestic sea creatures, making her feel truly special! Watch her eyes glow as she discovers her special talent! This 24 page storybook is stunningly illustrated by Robby Singh and written by internationally published writer Maria Natalia Mercedes Diaz. Each 8 3/8" x 10 3/4" professionally bound hardcover book is personalized throughout the text and illustrations, including the child's name, home country, friends and/or relatives' names, and special talents. Also included in this book is a personalized dedication from the sender. To add a splash of fun, your child will also be able to go on an exciting treasure hunt! This precious keepsake is a perfect gift for girls ages 0-12.